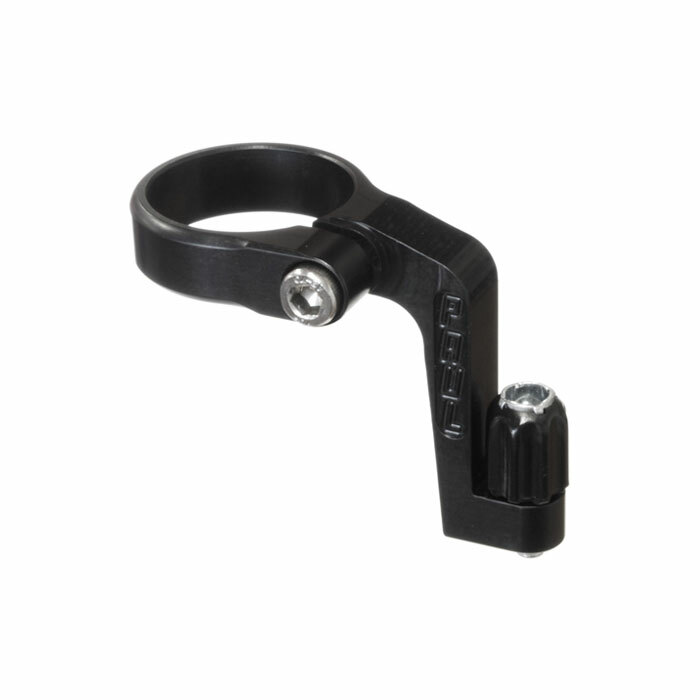 The Racer Medium is offered in both a center mount and a braze-on configuration. 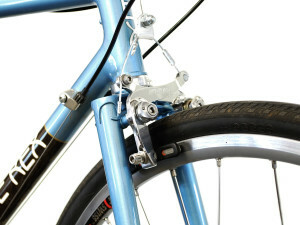 The Braze-On Racer Medium mounts to a pair of center pull brake bosses positioned on the fork or seat stays at a specific width and distance from the axle. 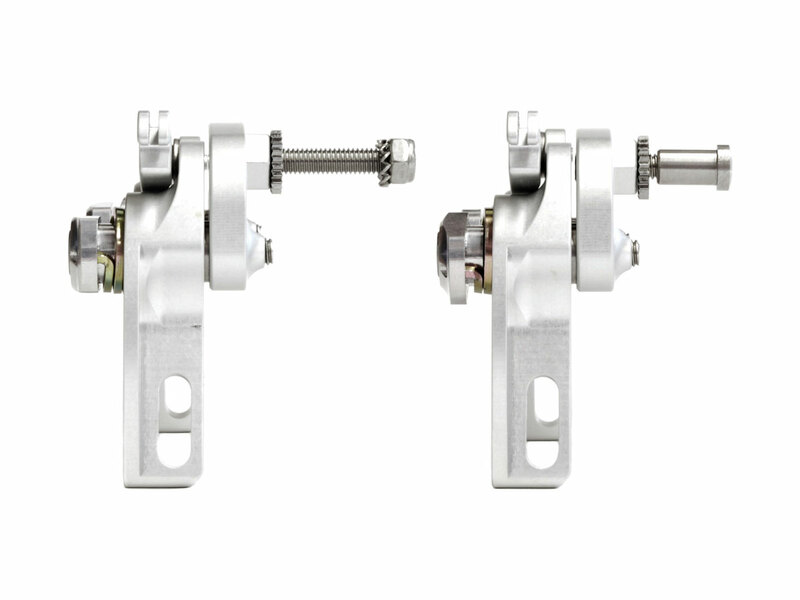 While it can be more difficult to have a frame fitted with these specially positioned brake bosses, it makes for a much stiffer and cleaner looking brake. 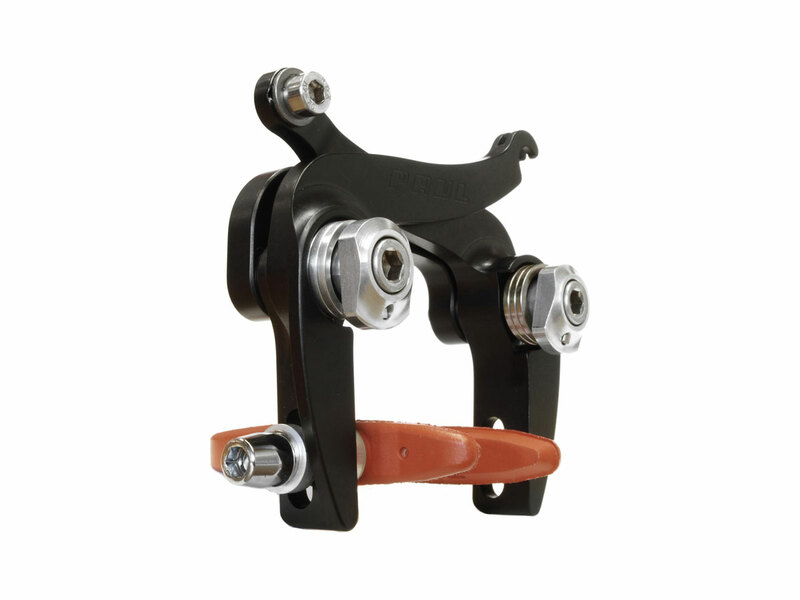 It is important to note that the Braze-On Racer Medium does not mount to brake bosses in the standard cantilever position, and it will not work with U-brake bosses. 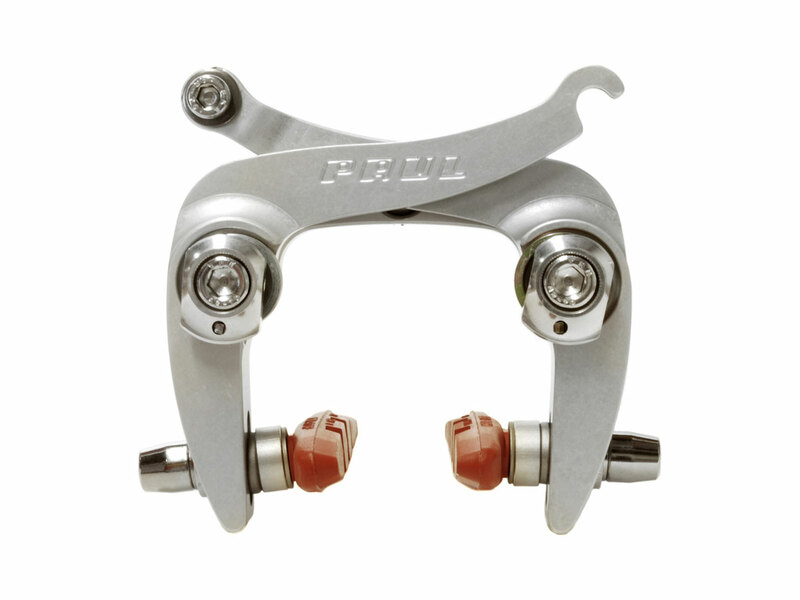 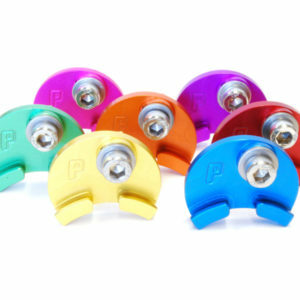 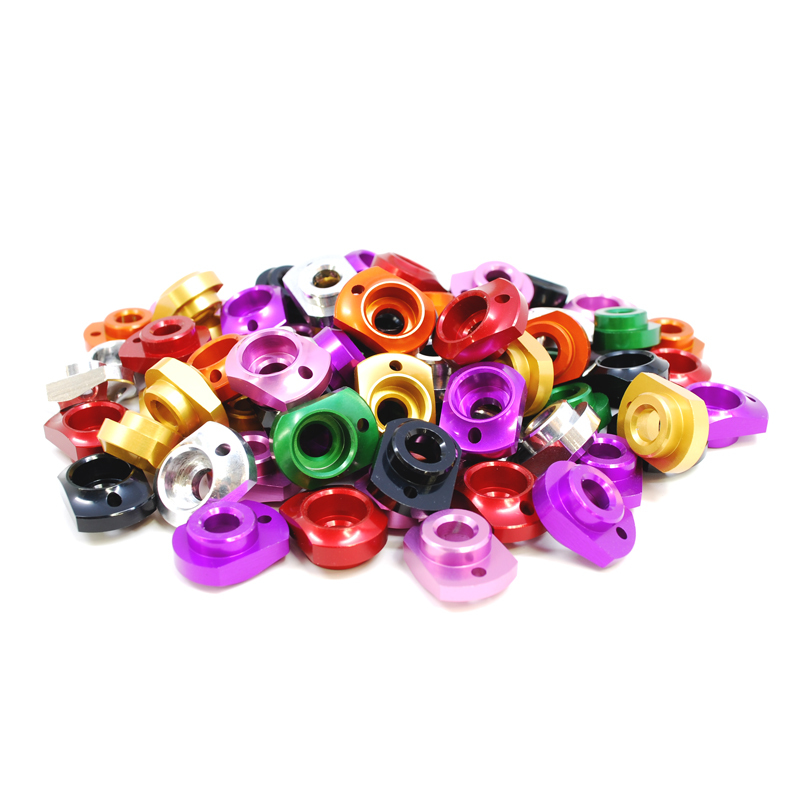 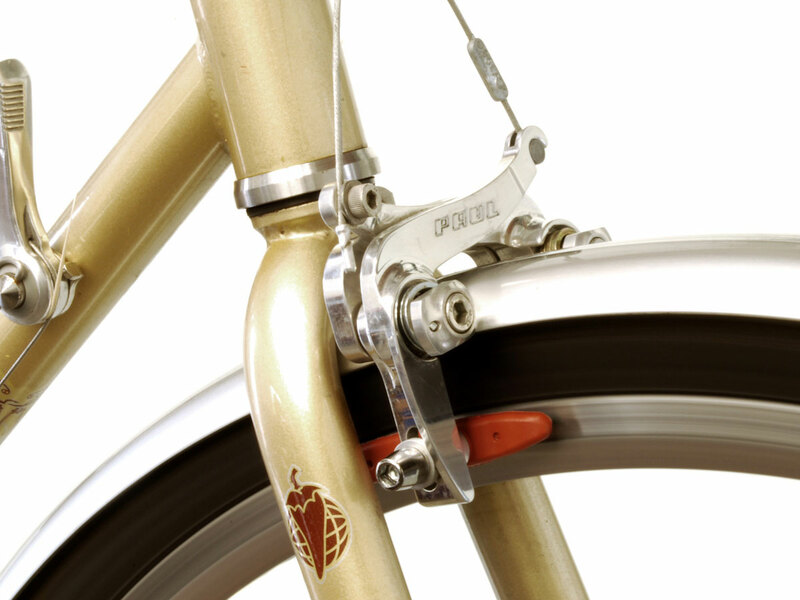 Please refer to our support article on Braze-On Center Pull Brakes for more information. 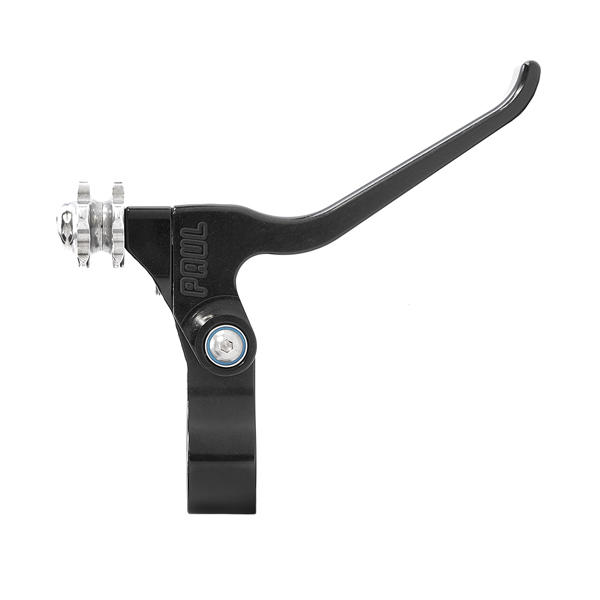 Reach is determined by the height of the center pull brake bosses, which can be positioned by a frame builder to match up with 700c, 650b, or 26″ wheels. The Center Mount version of the Racer Medium features an additional bridge piece that runs between the pivots and allows the Racer Medium to mount to frames with a single brake mounting hole above the tire. 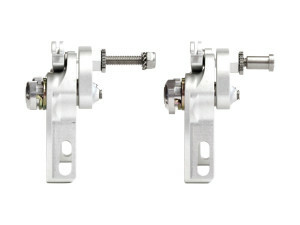 The option is given for a shorter recessed bolt to work with modern frames, or a longer non-recessed bolt that works with older frames. 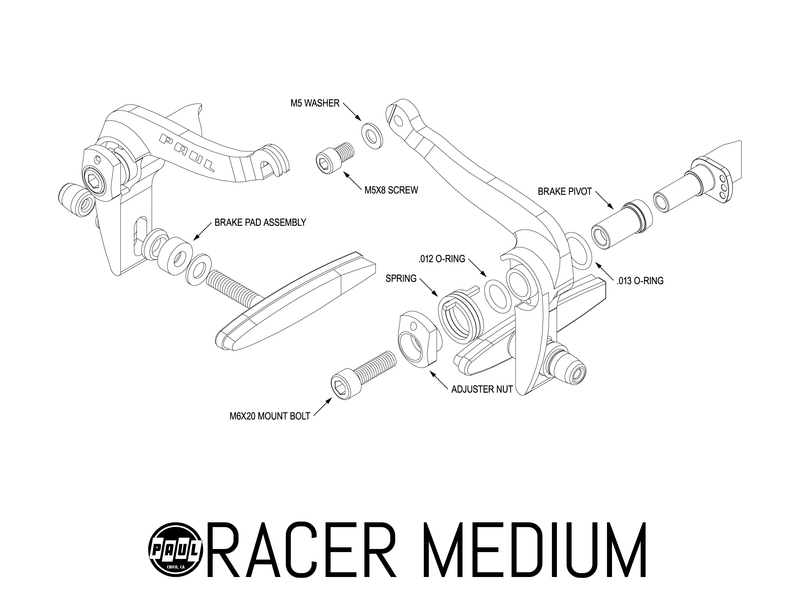 In this setup the Racer Medium is a medium (or “standard”) reach brake with a range of 47 to 57mm. The Racer Medium come with all necessary hardware: mounting bolts, straddle wire, cable carrier, and a pair of salmon Kool Stop Thinline brake pads.